We had an early breakfast at the hotel before departing to Simanindo ferry terminal. Instead of taking ferry the usual way (from Tomok to Parapat), our driver suggested taking ferry from Simanindo to Tigaras, which is a shortcut to Berastagi. The journey from our hotel in Tuk Tuk to Simanindo took about 30 mins. 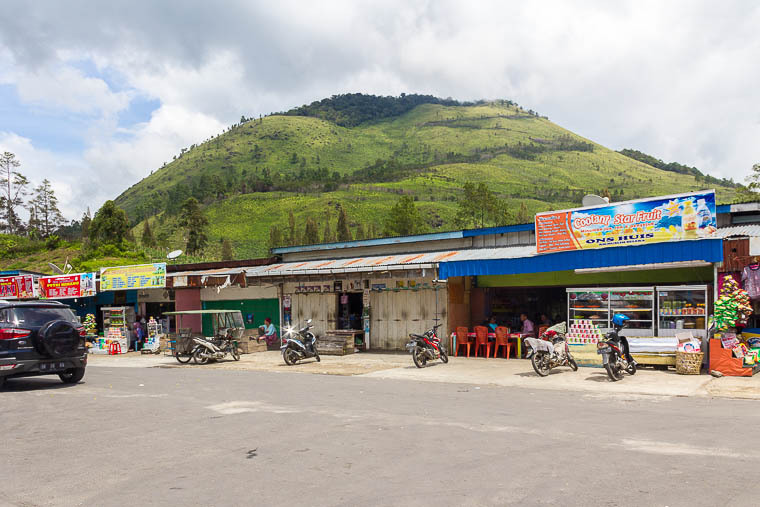 We arrived at Simanindo in time, enough to go to the toilet and do some quick shopping. The toilet has an awful smell, do not go if you don’t feel urgent. Feel free to donate as you wish for the toilet fee, there wasn’t any cleaner in sight. 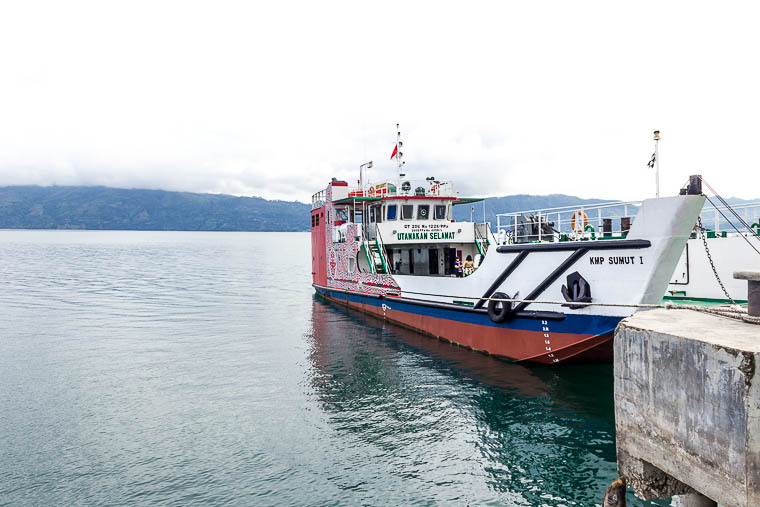 The car ferry from Simanindo departed at 10 am. 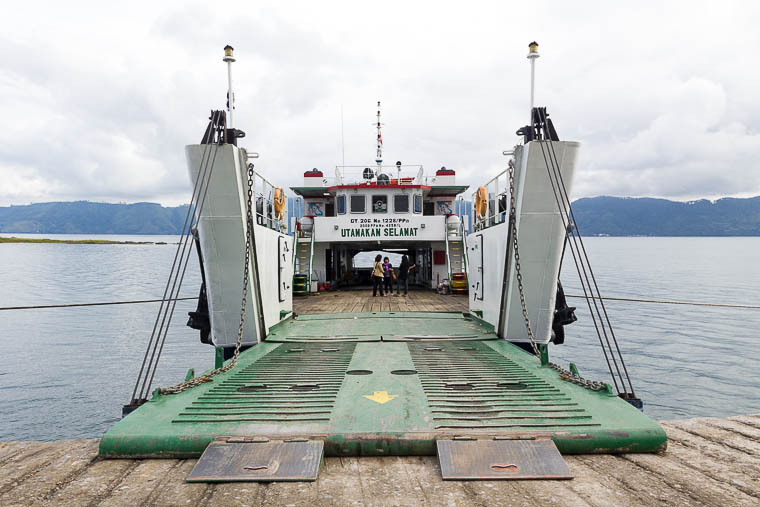 The ferry was smaller compared to the one connecting Tomok and Parapat. All vehicles are parked on the ground level. Passengers may choose to sit inside car/bus or climb up to the second level. The second level, half the area of the ground level, consists of an indoor room with seats and a small open-air area for standing. We stood at the open-air area throughout the 30 mins journey and loved it. Our journey continued north-west for about 45 mins until we arrive at a cafe at Simarjarunjung Hill. 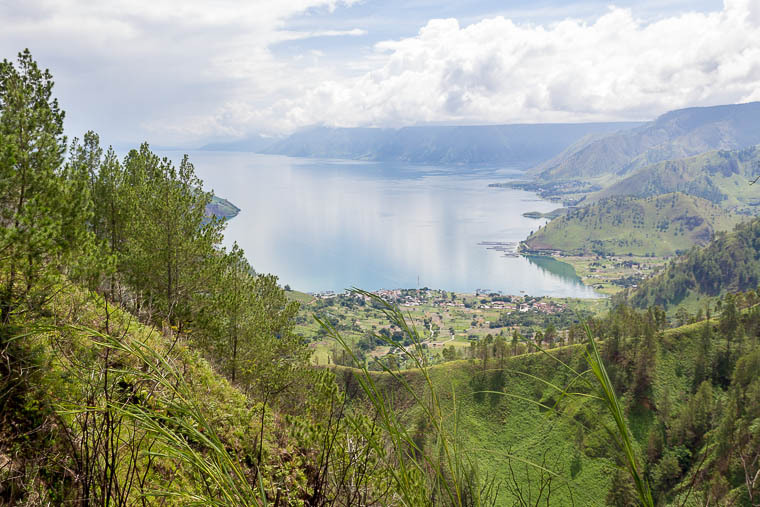 Man, it has a great view of Lake Toba from above. The cafe sold tea and coffee with complimentary banana fritters, however, the price was on the high side that most of us skipped the drinks. Thereafter, we continued to Sipiso-Piso, which is located in Tongging. I was worried about accessibility to see the waterfall. I worried we had to trek quite a distance from the entrance. Thankfully, my worries were proven wrong. It was so easy to see the waterfall from the parking area. We didn’t trek down to the base of waterfall due to insufficient time, we would if we had a chance. There is a row of food stalls if you find yourself hungry, thirsty or just in need of a toilet. About the waterfall, it was amazing and it blew me away. I seldom see waterfalls, and this is one of the best waterfalls I’ve seen. The water came out from a hole and made its way 120m down. I was just in awe the whole time I was there. 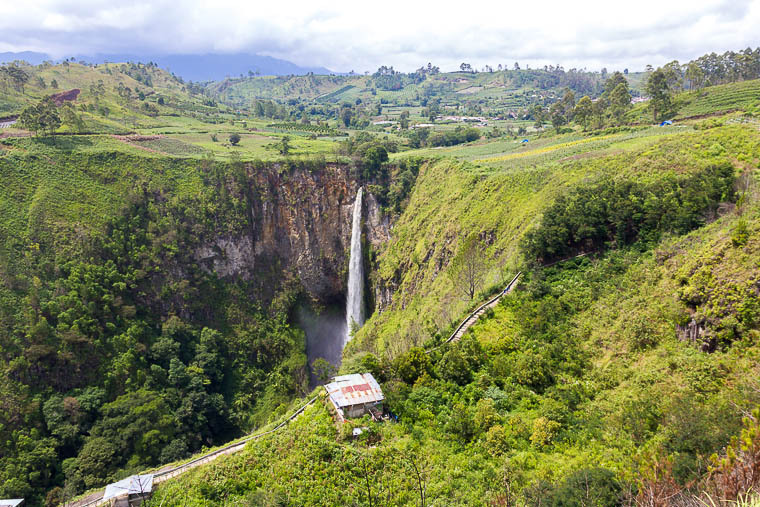 Furthermore, there’s a spot where you can see the waterfall on your right and Lake Toba on your left (see my video below). How could you not love this place? 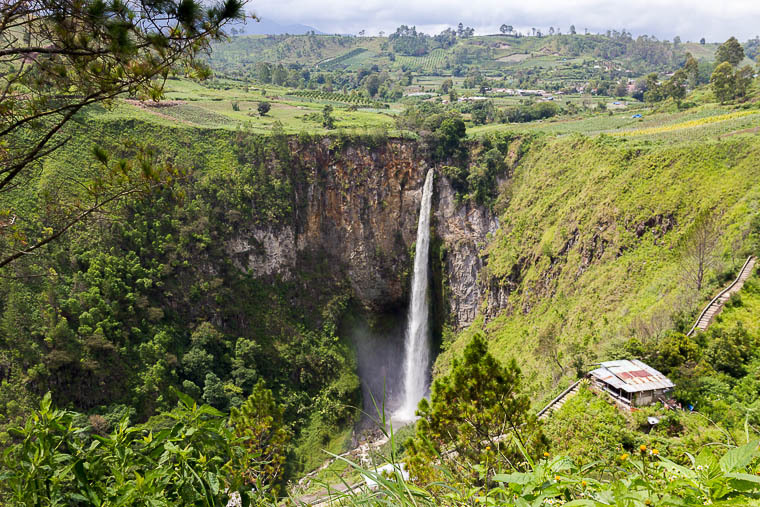 The next time I visit Toba, I’ll make sure I stay in Taman Simalem Resort and trek down to the base of Sipiso-Piso waterfall! 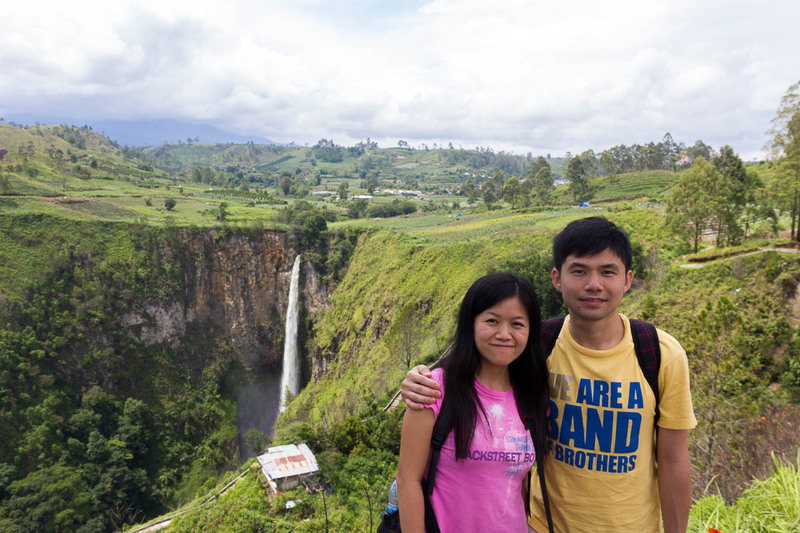 At the viewing platform, you can get both view of waterfall AND view of Lake Toba! Cool right? 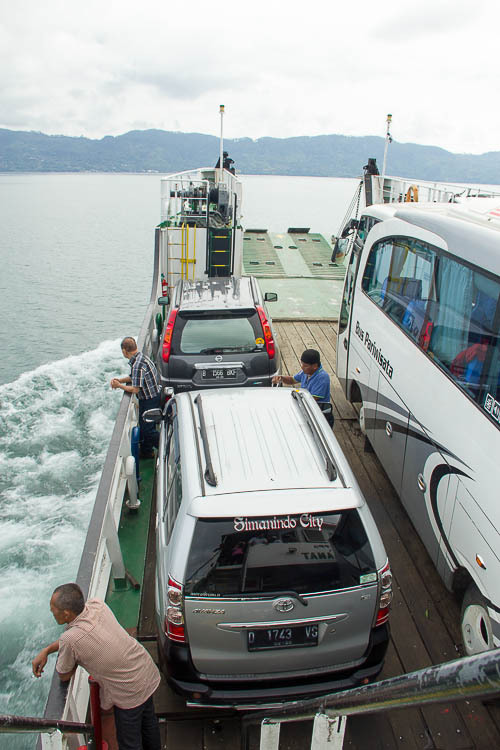 It was a good information that you mentioned about the short route that taking ferry from simanindo ferry terminal. It was mentioned that you took the bus in that picture,right? May I know how you have arranged this trip from tuk tuk to sipisopiso? Through taxi companies/hotel/travel agents in tuktuk? It will be very helpful for me since am intending to visit sipisopiso from my cottage in tuktuk in a day and return back in evening. I really couldn’t get clear answers for tuktuk to sipisopiso transportation so far!! Hi Aravindh, thank you. I actually chartered a bus from Medan to Parapat, Sipiso-Piso, Berastagi and back to Medan. If you don’t rent a private car from Medan, I guess you can rent a motorbike in Tuktuk. 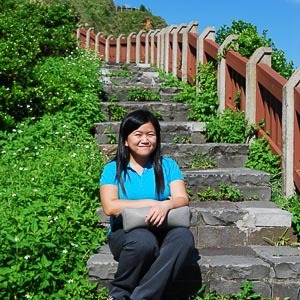 I usually prefer to deal with travel agent in Medan because it’s more competitive there. I’m not sure if there is a public bus from Tuktuk to Sipiso-piso because most locals use their own motorbikes or cars. For your case, I suggest that you check with your hotel whether they can arrange transportation for you or you can rent a motorbike from the hotel or locals. 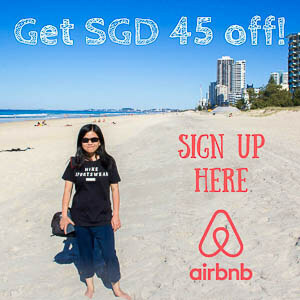 Otherwise, you can rent a car from Medan to Tuktuk, Sipiso-Piso and back to Medan. Hope it helps!